Bicycles were first invented for transportation almost 200 years ago, but since then we have created many models of bikes and many modes of cycling, from mountain biking to racing in a velodrome. The Medicine of Cycling series addresses concerns of all types of cyclists, calling on professionals from a diverse array of disciplines to give advice on things from bike safety to finding the right bike for you. The first episode in the series covers the various injuries that people suffer from riding bicycles and what is the best treatment. Dr. Kristin Wingfield, team physician for EXERGY 2012/16 women’s pro cycling team, visits the UCSF Osher Integrative Center of Medicine to talk about some of the common injuries and treatments cyclists receive. Some injuries, like those that occur from a fall or collision, are often outside your control, but many injuries arise from intrinsic factors like overuse, personal health, and lack of proper bike knowledge or technique. 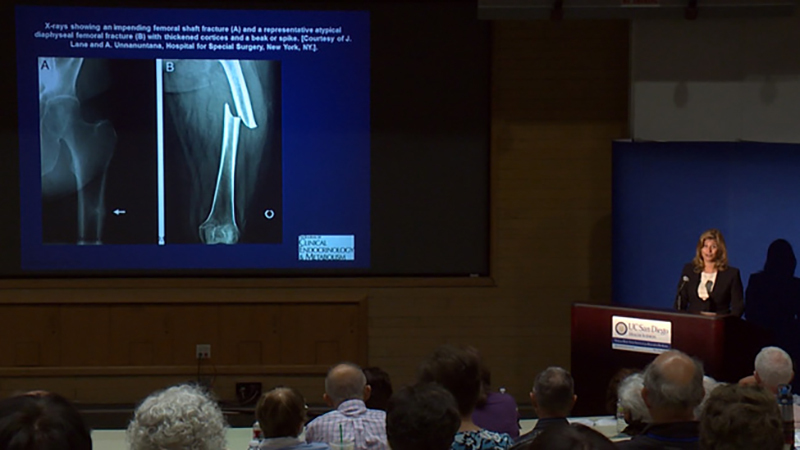 Watch “Cycling Injuries: Diagnosis and Treatment” to learn the correct ways to identify and treat bicycle injuries — and maybe event prevent them! 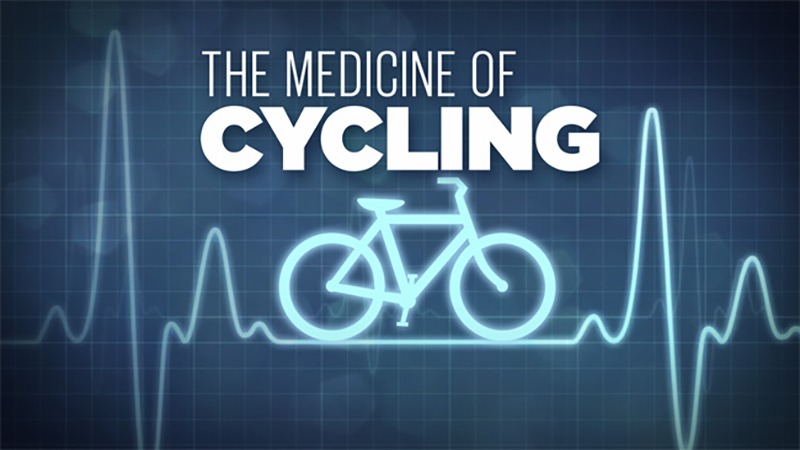 Stay tuned for more episodes in the Medicine of Cycling series. Want more on the medicine of cycling? This series is just an introduction to a whole field of science dedicated to keeping cyclists safe. Visit medicineofcycling.com for more information about the group of doctors determined to give cyclists top quality care. Also, the fourth annual Medicine of Cycling Conference is coming up in Colorado Springs, Colorado September 20-22. There is still time to get early bird registration if you sign up before August 15th! 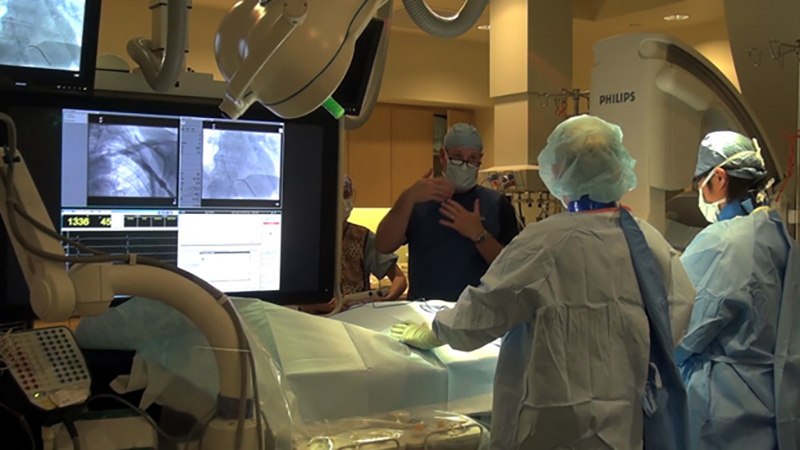 The latest episode of TCOYD, Diabetic Medical Emergencies, focused on what to do in a crisis. But what can you do if you are just a bit under the weather? Here’s TCOYD’s resident fitness expert Michelle Day with a tip to keep your diabetes in check and your body fit. If you are too sick to get out of bed you can practice these stretches while laying down, in bed, on your back. – Laying on your back reach your arms up over head and flex your feet. Stretch your heels and fingertips in opposite directions. – Hug you knees into your chest, open your arms into a T shape, twist your legs to one side, come back to center and twist your legs to the other side. – Bend your knees and place your feet down flat close to your gluts, slide your arms down to a low V, roll up your spine from your tailbone to your upper rib cage. Release back down one vertebrae at a time from your upper rib cage to your tailbone. – Place the soles of your feet together, let your knees open to the sides. Practicing these laying down stretches will help alleviate sore, tired muscles. Stay well!